What is the best time to visit Antarctica? Hear from our destination experts. Home of the South Pole, Antarctica is the most southerly point on the planet. A trip to Antarctica will always be extraordinary and unlike any other vacation you will have taken before or since. Away from the hustle and bustle of city life, away from the direct sun’s rays, away from perhaps everything you had once perceived as ‘normal’, this spread of 5 million square miles, a region devoid of heat and resplendent with towering peaks of ice white and watery expanses of emerald greens and blues, has a very distinctive biodiversity. We definitely want to be part of this memorable experience with you, all the way. But first, the basics for arrival. The month in which you travel to Antarctica makes a lot of difference. This is not only the best time to visit Antarctica, it is the only time it’s possible – as the ice breaks up allowing ships to pass. 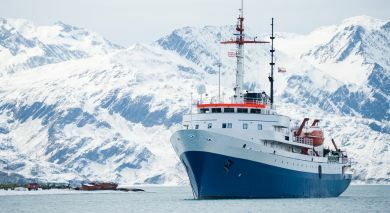 The continent is colder but at its most untouched, with pristine ice and snow, and wildflowers blooming on the islands. 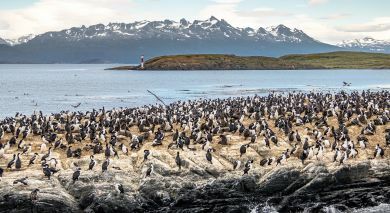 The 20-hour sunshine in December-January brings welcome warmth; temperatures hover above freezing, creating perfect conditions for seal pups and penguin chicks – as well as whales. Believe us, the month in which you travel to Antarctica does make a difference. However, deciding what time is ‘best’ depends on what you personally desire to get out of your adventure. The cold temperatures offer the most impressive icescapes, pristine snow and breathtaking scenery. 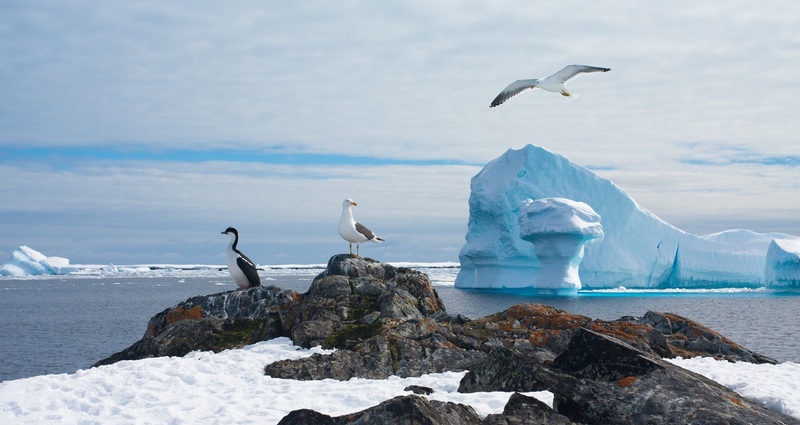 Birds return to the Antarctic region during this time. The pack ice begins to break up, and the landscape is at its most pristine with plenty of fresh snow. It’s mating season for the penguins and other birds returning to their breeding sites. 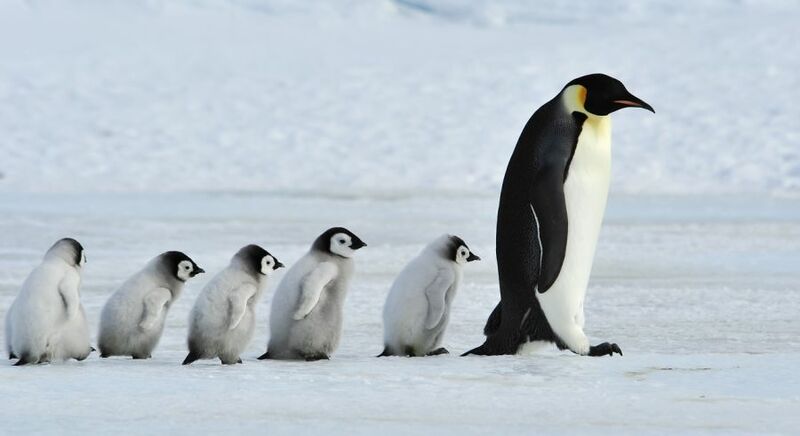 Parents can be seen “carrying” eggs on their feet so that one parent can shuffle around the colony while the other adult goes out to sea to feed. This is also the time when albatross, marine fulmars, and petrels adorn the Southern Ocean, and the blue-eyed shags return to the region. For many of us who work in or travel to Antarctica frequently, it is our favorite time to be there. The month of November (late Austral spring and early Austral summer) undoubtedly offers the most adventurous time to visit the Peninsula. 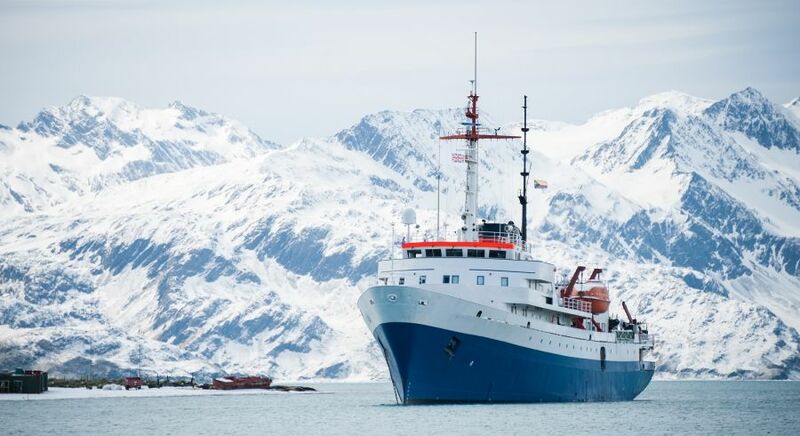 This is the time to see Antarctica in its most undisturbed form. As the season goes on, the landing areas become impacted and muddy. 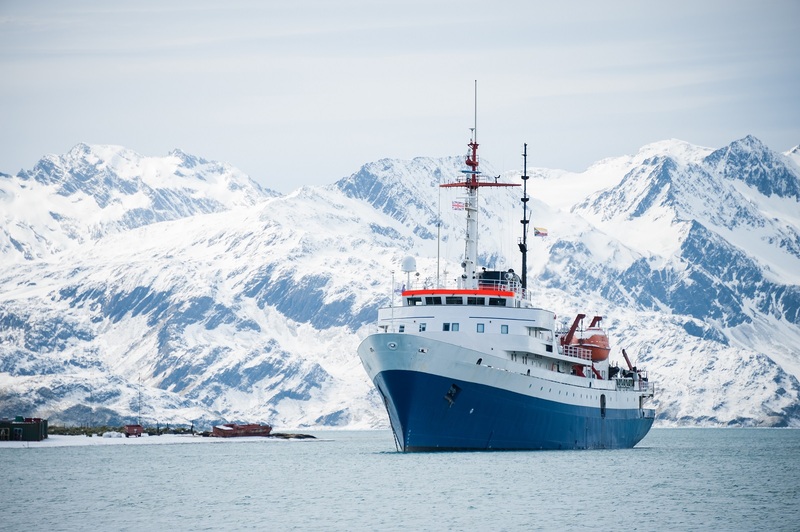 Some operators tend to discourage November voyages as temperatures tend to be colder and polar ice is still breaking up, so access to some areas may be limited. However, the cold temperatures also offer the most impressive icescapes, pristine snow and breathtaking scenery. Wildlife is typically not as plentiful as later in the season. Although it’s as good a time to observe penguins mating. By the end of November, you’ll see lots of nests full of eggs! Wildlife, especially penguin chicks, is most plentiful during this time of year. It’s the height of the Austral Summer and the sun is up 18 to 20 hours a day, so photo opportunities and sightings of all sorts abound. Whale sightings of baleen and toothed whales along the Antarctic Peninsula increase and seal pups can be sighted on the beaches in South Georgia. Some 30 days after hatching, penguin chicks can be found in “crèches,” resembling a nursery of sorts, which leaves their tired and hungry parents free to rest and hunt for food. December and January are the months with the most sunlight (up to 20 hours a day), and daily temperatures are at their warmest. In January, temperatures at the Peninsula average 34 Fahrenheit or 1 degree Celsius. Penguins begin hatching and wildlife, especially penguin chicks, is most plentiful during this time of year. 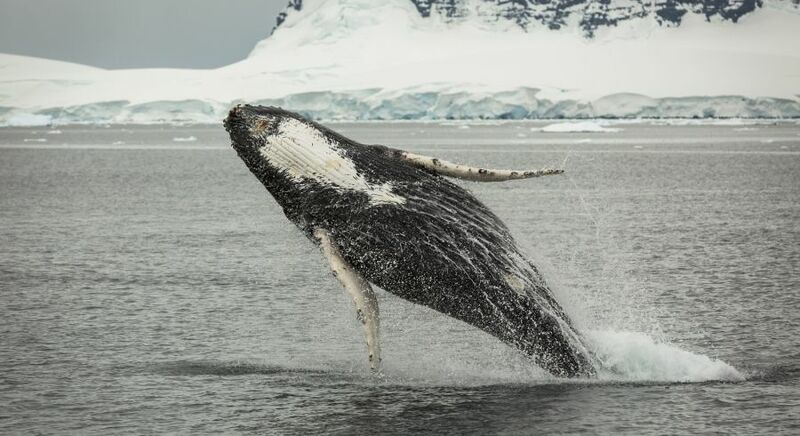 Late summer in Antarctica, February and early March, is the best time to spot whales. Sightings of whales are at their peak in the Peninsula, and the receding ice makes it possible for us to explore further south. The penguin chicks begin their molt, losing their fuzzy down and developing their adult plumage. By now, most parents have abandoned their chicks, and have gone out to sea to feed and fatten up for their own molting stage. 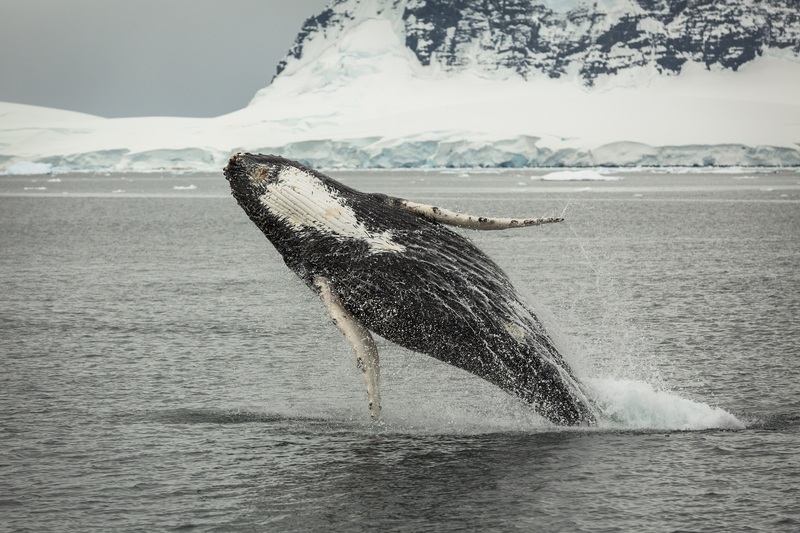 Late summer in Antarctica, February and early March, is the best time to spot whales. However, you are taking the risk that other wildlife may already be gone out to sea. By March, the chicks are quite large, and they start to fledge. Weather wise, temperatures are beginning to drop as the season starts to change. Daily highs average roughly 29 Fahrenheit or -1 degree Celsius on the Peninsula. There tend to be less vessels operating at this time, which means you won’t have to compete with other ships for landings. Our destination experts are happy to provide further information on the best time to visit Antarctica and plan a customized itinerary to match your interests and preferences. 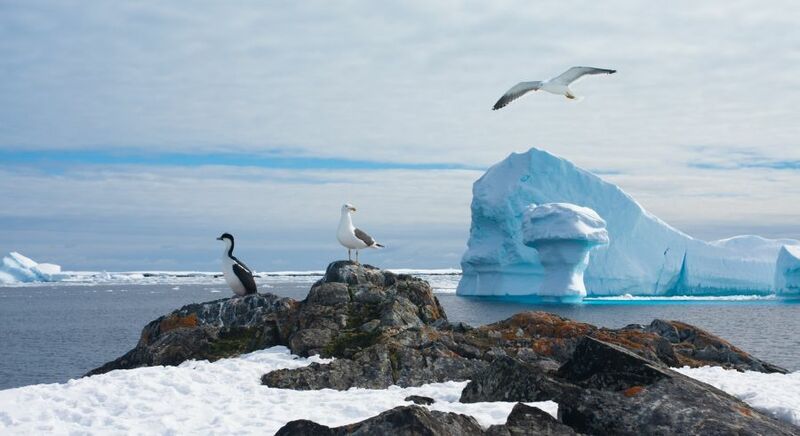 Get in touch with us today for your obligation-free Antarctica tour plan!